In his more than 25 years as a firefighter in Stamford, Connecticut, Capt. Jacques Roy thought he could handle anything – until the smoke cleared from a devastating fire that killed three children and their grandparents. “I was the guy who couldn't hack it. I was the guy who needed help. I never thought it would be me. But it was me,” says Roy. Roy and his team were among those who pulled bodies from the ashes of the fire on Christmas Day 2011 at the home of fashion executive Madonna Badger. 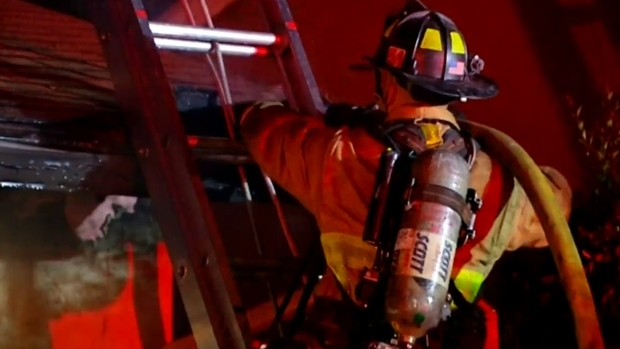 An unprecedented survey by News 4 I-Team and International Association of Fire Fighters shed light on the ways firefighters cope with the stresses of the job. David Ushery reports. For Roy, the fragments of that day sent him into a spiral of anger and sleepless nights, an experience NBC New York discovered is common among firefighters – and can often be worse. 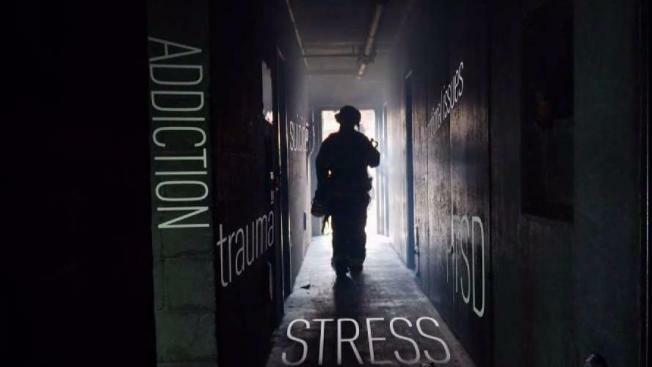 In partnership with the International Association of Fire Fighters (IAFF), NBC New York and NBC Bay Area sent a confidential online survey to thousands of firefighters to hear directly from them about the impact of post-traumatic stress on their lives, and to learn what services are available when they need help. From across North America, 7,000 firefighters responded, overwhelmingly reporting that stressful or traumatic experiences on the job have impacted their mental health. Among the struggles they say are directly connected to the job: 19 percent have had thoughts of suicide, 27 percent have struggled with substance abuse, 59 percent have experienced family and relationship problems and 65 percent are haunted by memories of bad calls. The IAFF says the survey is unprecedented and highlights a critical need. “What this study does is really bring home the numbers that we already knew were out there, that fire fighters are suffering from PTSD and other behavioral health disorders,” says Jim Brinkley, director of Health and Safety for the IAFF. “And more importantly, there’s a stigma attached to seeking help." “It may seem contrary to everything you think of yourself, or want to believe,” says Roy, who recovered from his trauma through intensive therapy. “But we're human. We're not superheroes." "We suffer from the same challenges the general public does -- financial issues, marital issues. Now you compound that with the horror that we see every day, day in and day out. It adds up and eventually takes a toll," he said. But firefighters say getting mental health assistance can be tricky. Of those who responded to the survey, 81 percent said they feared being seen as weak or unfit for duty if they asked for help. Additionally, 71 percent say they have not used services provided by their department’s employee assistance program (EAP) for mental health issues related to their job. Of those who did use their EAP, 63 percent did not find it helpful. “We’re going to take a hard look at this survey to determine what is it we’re doing right and more importantly, where are the gaps. What programming do we need to provide to make sure our members get the help they need?” says Brinkley. The IAFF provides a vast array of services, the centerpiece of which is its Center of Excellence for Behavioral Health Treatment and Recovery. The residential facility near Washington, D.C. treats union members struggling with substance abuse and related issues like PTSD. Another powerful tool are the teams the IAFF dispatches to disasters and tragedies like the school shooting in Parkland, Florida. “Our intent is to get out and reach the members that have been affected, let them know what some of the signs and symptoms are that they are going to be experiencing and what services are available to them,” says Brinkley. Members of the New York City Fire Department Counseling Services Unit, which has evolved and grown since 9/11, are often called to join IAFF teams in the field. But the goal is to get firefighters help where they live. That’s why the FDNY Counseling Services Unit also travels the country, training departments on what to look for and how to handle firefighters who are struggling. Please visit the IAFF Recovery Center for mental health resources for firefighters. A new national study of firefighters has revealed many of our heroes aren't getting the help they need.